Recently I was studying up on some philosophy and came across Aristotles 3 types of knowledge. I thought it was interesting it how it could be applied to Permaculture. By the way, Aristotle was an old Greek dude that lived a few hundred years before Jesus and wrote a lot of profound stuff. The second type of knowledge is “Techne” which is the Greek word for craftsmanship, craft, or art. This is the type of knowledge you only get from years of hands-on practice with a skill or trade. So clearly in permaculture …. The third type of knowledge is “Phronesis.” It means Practical wisdom. It is related to Ethics, so it’s oriented towards action more than just spouting a bunch of words and abstract ideas. (Which Aristotle was so very good at by the way.) This is more the realm of what I’m calling “Heart Food.” It’s the one that knows how to put it all together; how to put things in their right place; in their proper relationship. It’s having perspective. I think to be a successful person you need to have a good amount of all of these, and know how to use them in concert with one another. When I was listening to Kate in this interview I could hear how she weaves all of these various types of knowledge together. This is the type of whole systems thinking that we need more of. It’s being able to zoom in on specific details of a process or pattern, then zoom out to see how those details affect the big picture. That’s why they call them visionaries I think. Because they have that clarity of perception of the invisible forces that shape and influence our physical world. And this only comes when, like Kate was saying, you take the time to slow down, be still, and listen. Thank you for taking the time to listen in to today’s podcast. 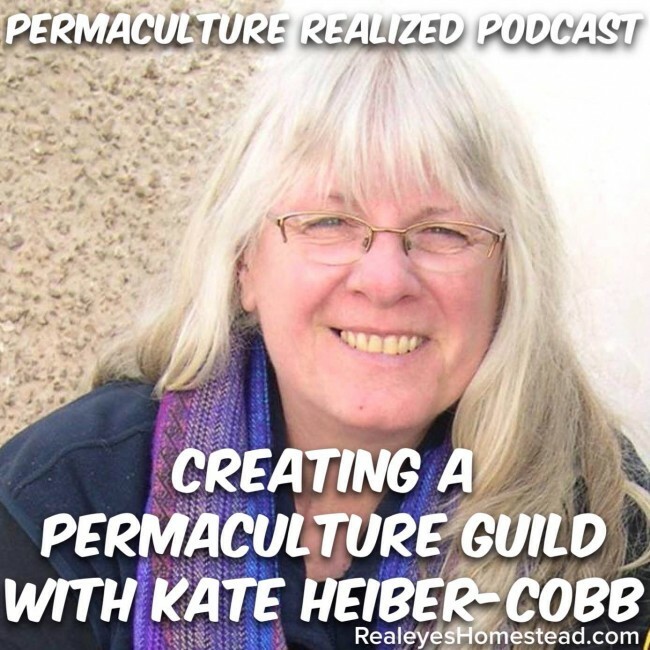 We got more on the way, at the Permaculture Realized Podcast.